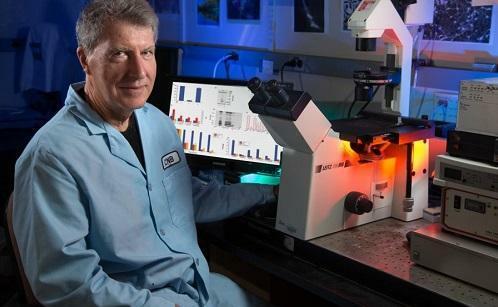 Salk Institute scientists have found preliminary evidence that tetrahydrocannabinol (THC) and other compounds found in marijuana can promote the cellular removal of amyloid beta, a toxic protein associated with Alzheimer's disease. While these exploratory studies were conducted in neurons grown in the laboratory, they may offer insight into the role of inflammation in Alzheimer's disease and could provide clues to developing novel therapeutics for the disorder. "Although other studies have offered evidence that cannabinoids might be neuroprotective against the symptoms of Alzheimer's, we believe our study is the first to demonstrate that cannabinoids affect both inflammation and amyloid beta accumulation in nerve cells," says Salk Professor David Schubert, the senior author of the paper.